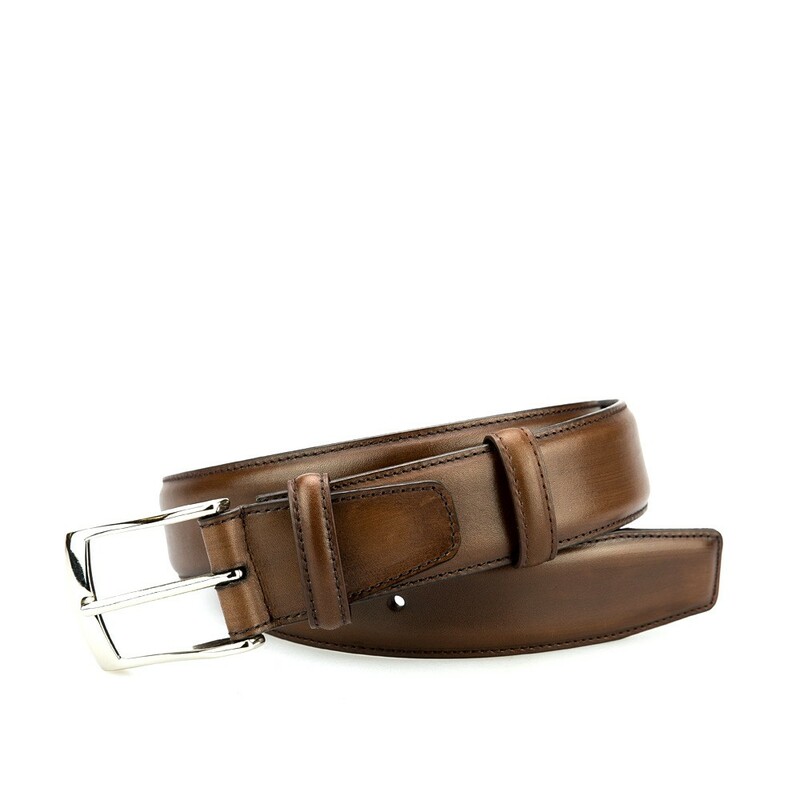 Classic plain belt in brown vegano calf. In Carmina we use the same finest French Box-calf leather and English suede that we use in our shoes for our belts. The vegano calf leather is a not dyed-throught with fine and regural grain. We finish it with a coat of wax ensuring a nice shine, and that the leather acquires a pleasant patina over the time.